Painted at the annual Ashland Car Show in 2018. Painted at the annual Ashland Car Show. 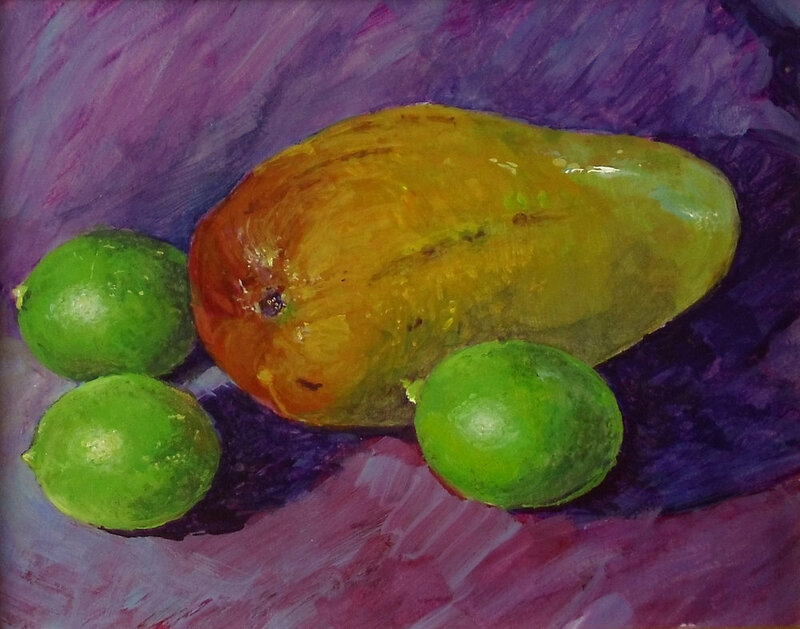 Painted in July of 2017. Painted 8/4/2018 At the Richland Carrousel in Mansfield, OH. Painted in an abandoned corner of a parking lot, where weeds were pushing through the cracks. Painted in the early morning at a secret spot. "Sunrise @ St. Augustine 7-19-17"
This was from a family vacation in the summer of 2017 to St. Augustine. 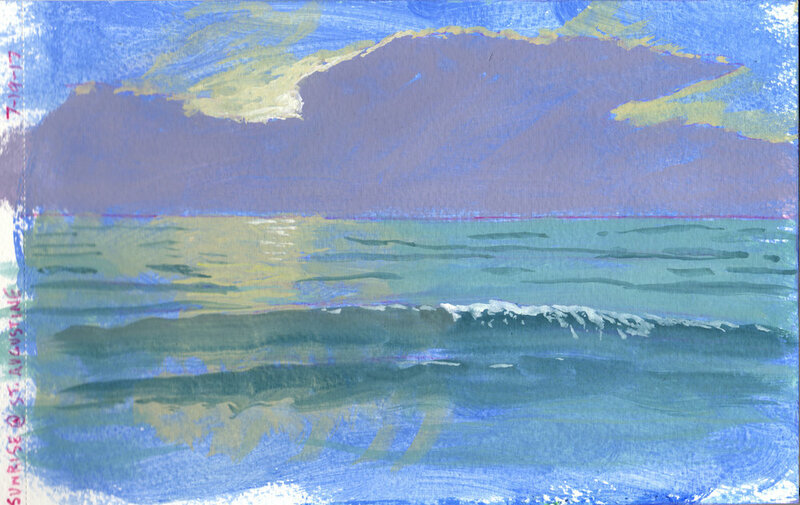 The beach was completely empty during the mornings and evenings, and I would walk to it and do these sketch paintings with my travel set of gouache paints. I loved the lighting during this morning shot, and wanted to capture the feeling you'd get listening to the waves crash on the shore while watching this huge cloud just barely hiding the rising sun.